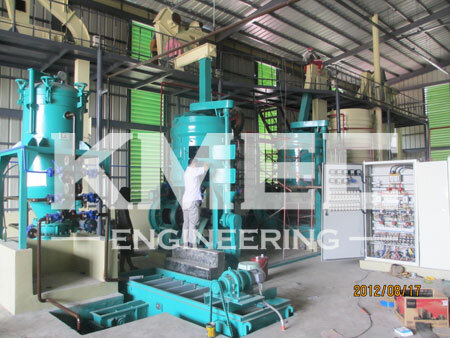 In recent time, KMEC had cooperated with a Philippine company strat a coconut oil expelling and refinery unit. The Unit begins setting up in Novermber last year. 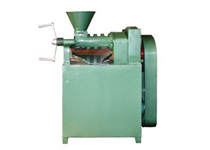 We offered professional coconut oil expelling and coconut oil refinery technology, we also offered the related coconut oil mill machinery. 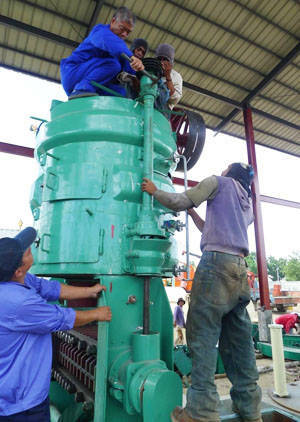 This picture shows the workshop of the coconut oil expelling unit and you can also see the workers are trying to install a coconut oil mill machine. 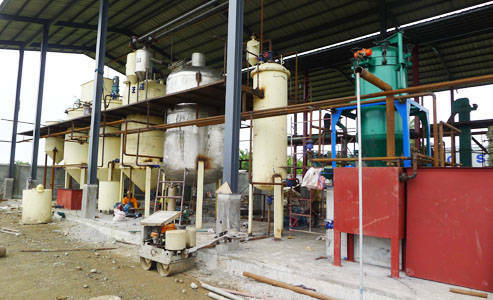 Coconut oil refinery is one of the the most important processes in coconut oil processing. Commonly coconut oil is refined, bleached and deodorised coconut oil or RBD coconut oil, which is produced from dry coconut meat (copra). 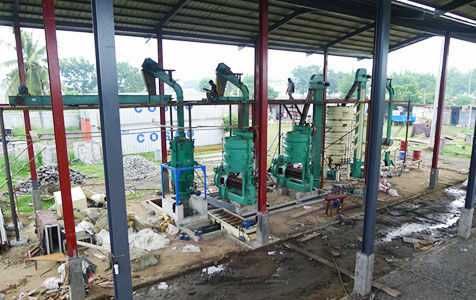 RBD coconut oil is produced from copra. 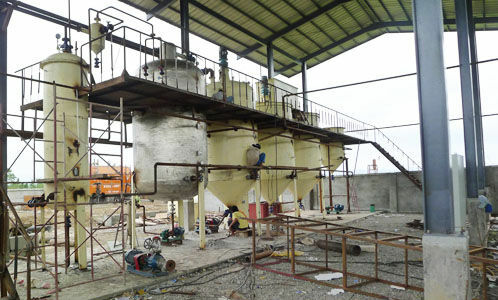 Below are pictures of the coconut oil refinery units from different visual angles. The Philippines is the world's second largest producer of coconut products, after Indonesia. In 1989 it produced 11.8 million tons. In 1989, coconut products, coconut oil, copra (dried coconut), and desiccated coconut accounted for approximately 6.7 percent of Philippine exports. 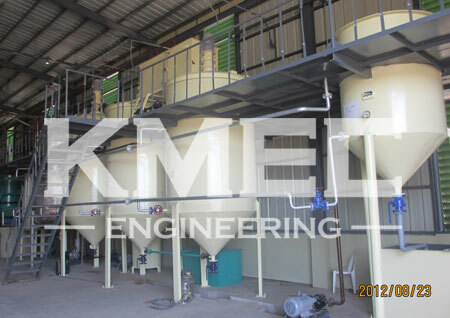 KMEC specialized in coconut oil expelling and refinery. 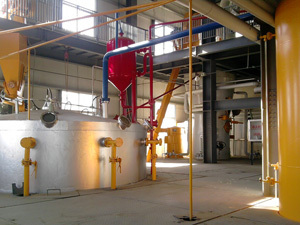 You are welcomed at anytime whenever you feel interest in starting such a coconut oil expelling and refinery unit. We are always ready to give you the greatest service!